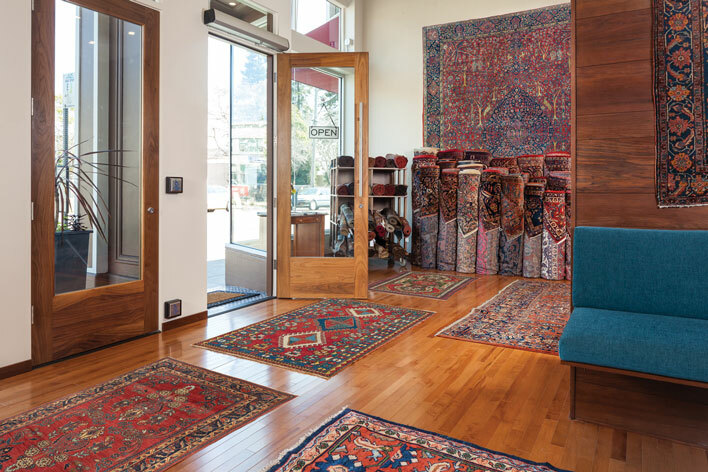 Our Claremont Rug Company gallery houses three showrooms for viewing our world-class inventory of exclusively art-level Persian carpets and tribal rugs, circa 1800-1910. 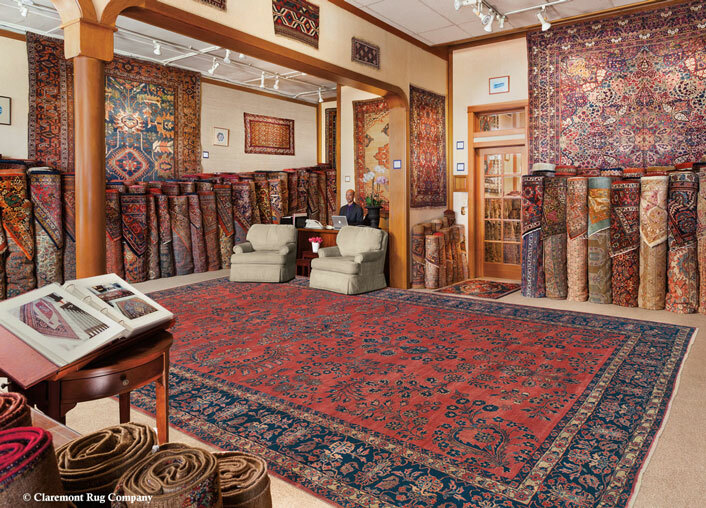 Included are sizes from 2 x 4ft to 18 x 30ft, along with antique runners and corridor rugs to 25ft long.  Headed by our company founder and president, Jan David Winitz, our carpet consultants offer from 15 to over 30 years of experience working at Claremont. 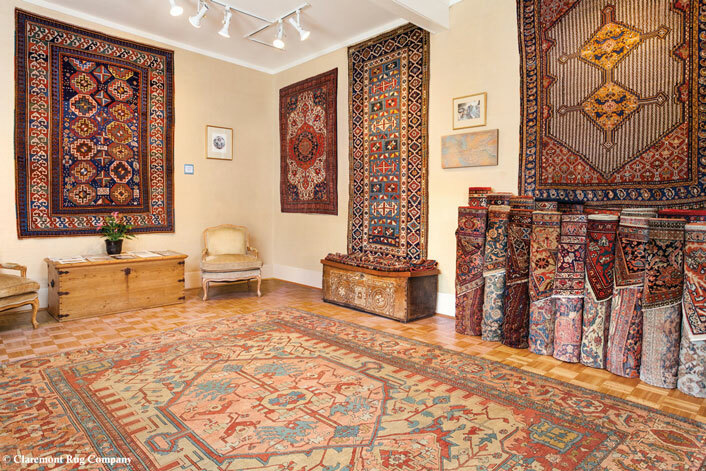 They are uniquely qualified to orient you and assist you to identify the particular decorative or collectible rugs that are ideal for your interests and needs. 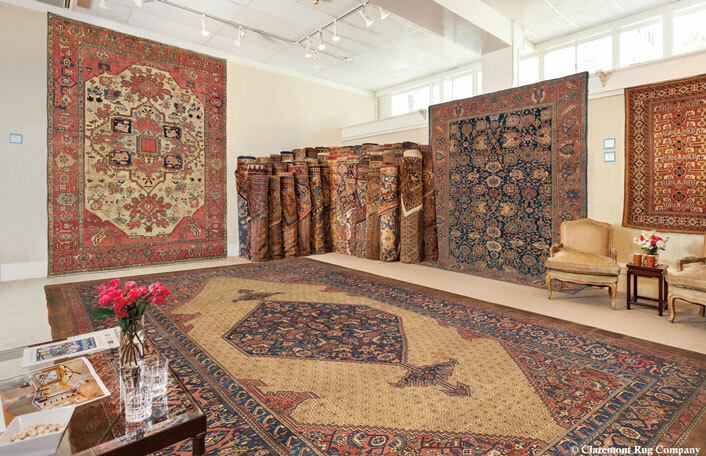 Claremont 2 is the boutique gallery of Claremont Rug Company, our mother store that offers a world-renowned collection of antique Oriental art carpets. 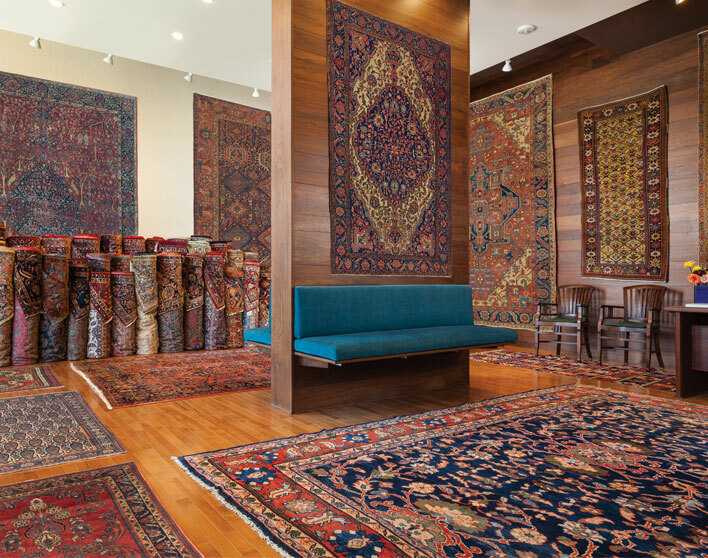 Chosen by Claremont’s expert buying team, these are extremely beautiful one-of-a-kind rugs ideal for uniquely customizing your contemporary or traditional décor.